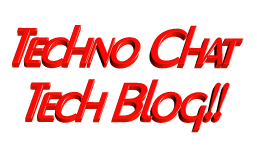 resetting a Windows Server password | Techno Chat|Tech Blog!! In simple word changing/resetting windows password is a very simple task using any third party free or paid tools as long as you able to access server console. Even on virtual platform like Hyper-V VMWare you have access to server console, but when it comes to AWS, there is no way to access console of a virtual instances. So, those tools will not work, as those required user input / virtual CD or USB boot, which is not available in AWS. I have found a solution to reset the password of any AWS windows instance. If you know the local user id, then it will be very easy to reset the password of that account. You have to perform the following steps. First you have to stop the instance. Then you have to identify the root volume (/dev/sda1) of that instance. You could get this information using one simple function I wrote (GetInstanceVolumeDetails InstanceID). Once you identified the root volume, Took a snapshot backup of root volume. Now you have to dismount this volume and remount it on any other working instance as additional volume. Windows Registry Editor Version 5.00 [HKEY_LOCAL_MACHINE_SYSControlSet001ServicesPwdReset] "Type"=dword:00000010 "Start"=dword:00000002 "ErrorControl"=dword:00000001 "DisplayName"="PwdReset" "ObjectName"="LocalSystem" "ImagePath"="c:\\srvany.exe" [HKEY_LOCAL_MACHINE_SYSControlSet001ServicesPwdResetParameters] "Application"="c:\\windows\\system32\\cmd.exe" "AppParameters"="/k net user Administrator Password"
"AppParameters"="/k net user Administrator Password"
Now placed srvany.exe under G: drive. Posted in AWS, Windows. Tagged EC2 Windows password recover, EC2 Windows password recovery, Forgot Amazon EC2 instance, Getting Your Windows Password, resetting a Windows Server password, Troubleshooting Windows Instances, Windows 2008 R2 Instance Password on Amazon.